JUG FACE deals with a group of backwoods folk (paycheck actress Sean Young among them) who offer up hillbilly sacrifices to a large hole in the ground in exchange for its healing, muddy water. 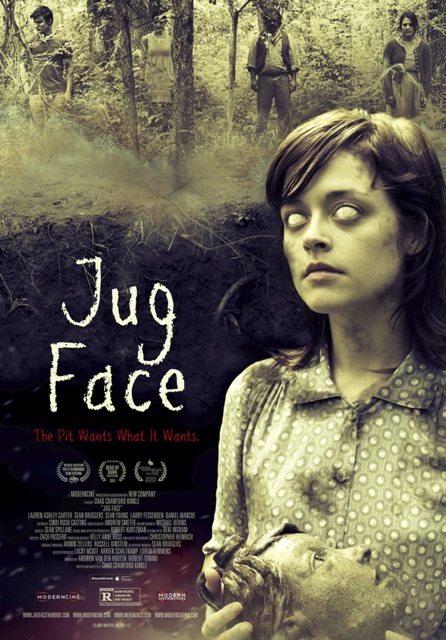 The unseen mud hole homeowner goes on a rampage, however, when one of the hillbilly folk (Lauren Ashley Carter) hides her own jug face after she's been selected for sacrifice. This arts and crafts mess is available for streaming on Netflix, VUDU, and Amazon Instant Video, but as always, you're better off leaving the outhouse hole to us and finding some other streaming moonshine to drink. 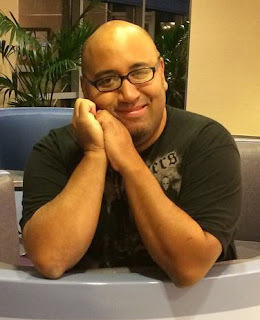 Our special guest this time out is James H. Carter II, the host and executive producer of the Creepy Kingdom podcast. James previously assisted with the flushing of JACK THE REAPER (SRC 042) and has returned to hillbilly it up with us once again. You can follow him on Twitter @CreepyKingdom and subscribe to his show on iTunes.